Scared by the rigorous restrictions and massive police build-up of en route to Sabarimala, many devotees have decided to return to their homes without having darshan. Asianet, the Marxist propaganda machine in Malayalam, has reported that about 110 devotees from Andhra Pradesh have returned fearing police oppression. A reporter said they were subjected to severe questioning by the police. Some devotees were handed down notices at Nilakkal with instructions that they should return within six hours – which is very difficult if you are not an athlete. 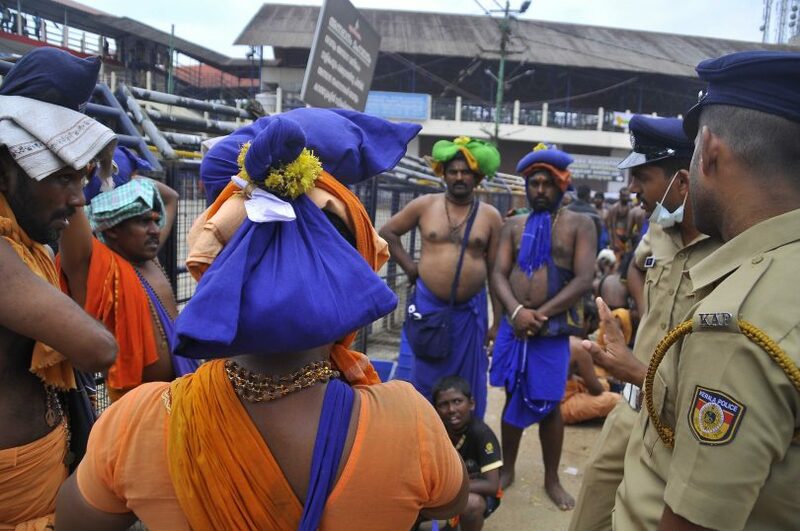 Despite Kerala High Court’s strict instructions, the police continue to impose strict regulations in Sabarimala. Data show that in the first five days the total number of turnout at the temple was only 75,000 against about 5 lakh last year. The Devaswom Board claims that there was a marginal rise of income of Rs 2000 through offerings.